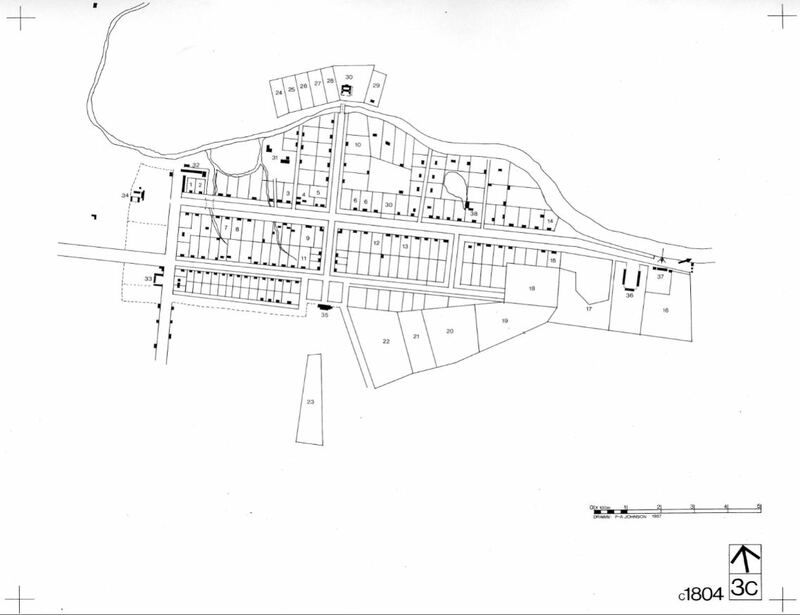 The c.1804 map of Parramatta, redrawn as an overlay for the archaeological management plan of Parramatta in 1987 (see Archaeological Management Plans). Originally thought to date to c.1813, research by Edward Higginbotham revealed that the plan only shows numbered leases up to August 1804, suggesting a late 1804 date (see Publications, 1987) (original plan in British Museum – redrafted from the original by Paul-Alan Johnson). Ferguson Centre, 130 George Street, Parramatta. Excavation of brick barrel drain from the Convict Lumber Yard, dated to the 1820s. 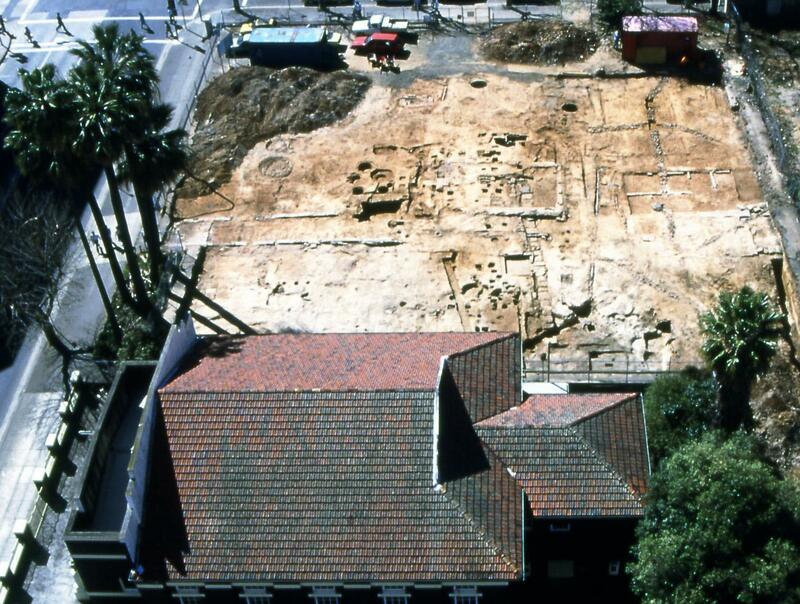 This was the first archaeological site to be placed on display in the Parramatta CBD. 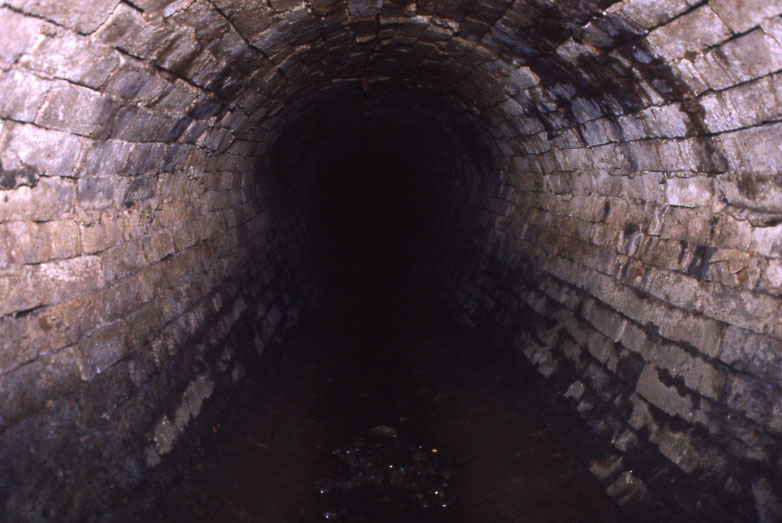 A complete section of the brick barrel drain, built in the 1820s from the Lumber Yard on Macquarie Street (now Arthur Phillip High School) to Parramatta River. 1984, 1985, 1991, 2000 and 2007. Elizabeth Farm, Alice Street, Rosehill. Excavation of the carriage loop and entrance carriageway enabled the reconstruction of the main access to the house (1994, 1995, 2000). Excavation of part of Bedroom Wing in advance of underpinning (1990). Recent test excavations to determine wall stability resulted in new dating for the house (2007). See Recent Projects - On the Trail of the Macarthur Family. Part 1. Family Law Courts, 20-22 O’Connell Street, Parramatta. Client: Former Commonwealth Department of Housing and Construction and Leightons. 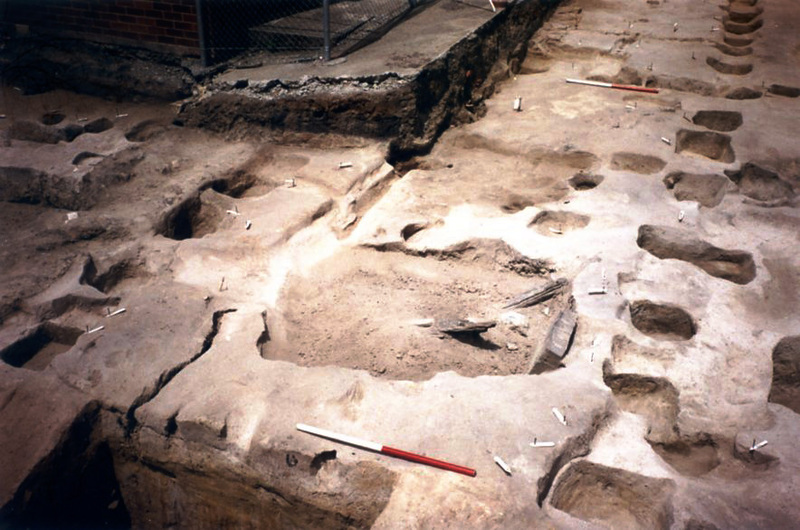 This was the first major archaeological excavation (using area trenches) in the Parramatta CBD. It demonstrated that archaeological sites could survive in good condition in spite of previous development. This was also the first excavation of a convict hut (or government hut), erected in 1790-1792, for the housing of convicts in the penal settlement. 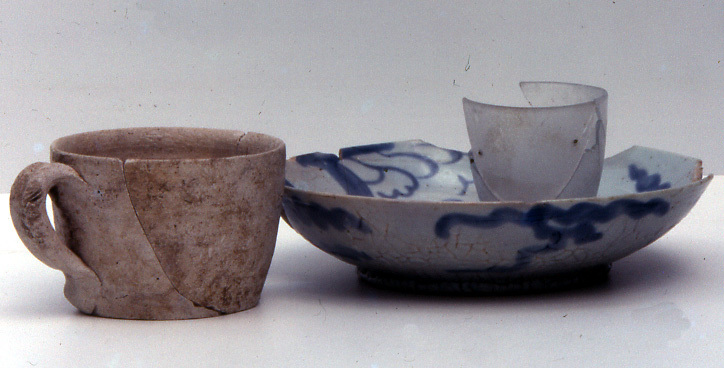 Finds of unglazed and lead glazed earthenwares were recognised as products of one of the first industries to be established in NSW (see Publications, 1987). It was also the first site at which Chinese porcelain was located, imported into NSW by the Rum Corps and then increasingly by a small group of Sydney merchants (see Chinese Porcelain). 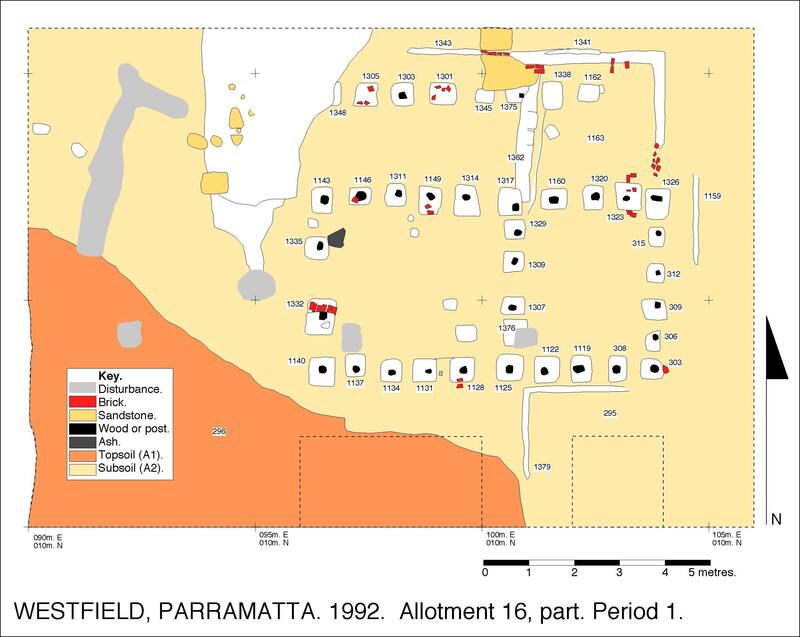 The survival of archaeology beneath the CBD resulted in the preparation of an archaeological management plan for Parramatta in 1987, completed in 1989, published in 1991 (see Archaeological Management Plans). 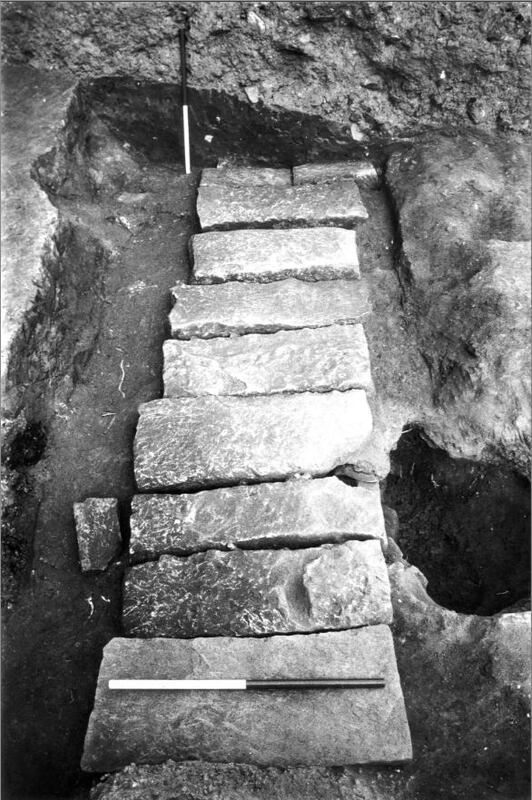 The use of area trenches as an efficient and productive method for urban excavation was not widely accepted at the time. In 1985, Ted Higginbotham published a paper on excavation methodology (see Publications). Area excavation is now widely accepted. The 1985 excavations of the Family Law Court site exposed the footings of a convict hut, erected in 1790-1792. Finds included a locally made earthenware cup, a Chinese bowl and a glass, carefully mended using copper wire (see Chinese Porcelain). Client: C. H. Webb Bros. The excavation of the stables to a house erected between 1836 and 1844 by Nathaniel Payten. The house became a girl’s school, named Tara. The school continues in North Parramatta. This house was demolished in 1963. Excavation of a sandstone box drain, dated to the 1840s. The drain commenced at the former Pound, behind the existing Town Hall and connected with the brick barrel drain from the Lumber Yard. The massive sandstone blocks forming the lid of the 1840s sandstone box drain, 79 George Street, Parramatta. The drain joined the brick barrel drain south of George Street. (adjacent to 79 George Street above). The excavation of a second convict hut (or government hut) as well as the site of the “Babes in the Wood” public house, owned by Nathaniel Payten. The site demonstrated that each convict hut was likely to be unique in its development. Excavations on the corner of Smith and George Street revealed the remains of a convict hut beneath the footings of the Babes in the Wood Hotel. Extensions to Westfield Shoppingtown, bounded by Marsden, Aird and O’Connell Streets, Parramatta. Client: Westfield Design and Construction Pty Ltd. The post-hole pattern of a simple 2 roomed cottage with back skillion and front porch, built prior to 1823 on Allotment 16, Aird Street. Client: Telecom Australia (now Telstra). Excavations in advance of cable laying provided the opportunity to excavate a third convict or government hut. The artifact assemblage indicated occupation from the 1800s to the 1840s and provided the first evidence for the longevity of some of the convict or government huts in Parramatta. Timber wall slots indicate the potential for conversion of the building to a timber framed structure, which would explain how the building survived for a longer period. Blood Bank, 4 George Street, Parramatta. Client: N.S.W. Public Works, Health Development. Excavation of a fourth convict or government hut or, in fact, two conjoined huts. The site was well preserved and provided evidence of wattle and daub walls and the conversion to a timber framed building through several stages of renovation and extension. The building even had a large cellar or basement at the rear, with masonry walls. The site provided incontrovertible evidence for the survival of a convict hut until the 1850s. The 1844 plan of Parramatta provides evidence for a large number of timber buildings in the town, none of which survive today. It can now be seen that a number of these timber buildings would have been the original convict or government huts that had survived through several stages of renovation. 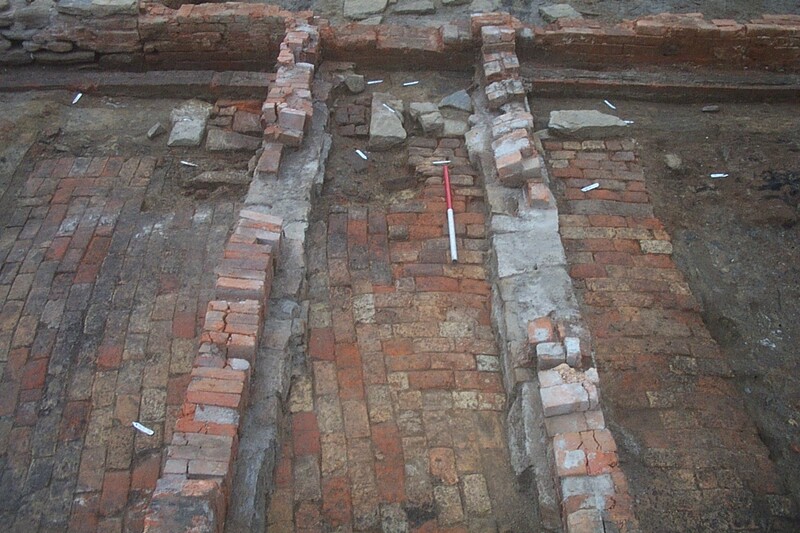 The excavations for the Blood Bank revealed the post-holes of two conjoined convict huts. The buildings survived until the 1840s, one of the last additions being the cellar, partly excavated in the foreground. The original Parramatta Railway Station, constructed in 1855, Mort Street, Granville. Old Government House, Parramatta Park. 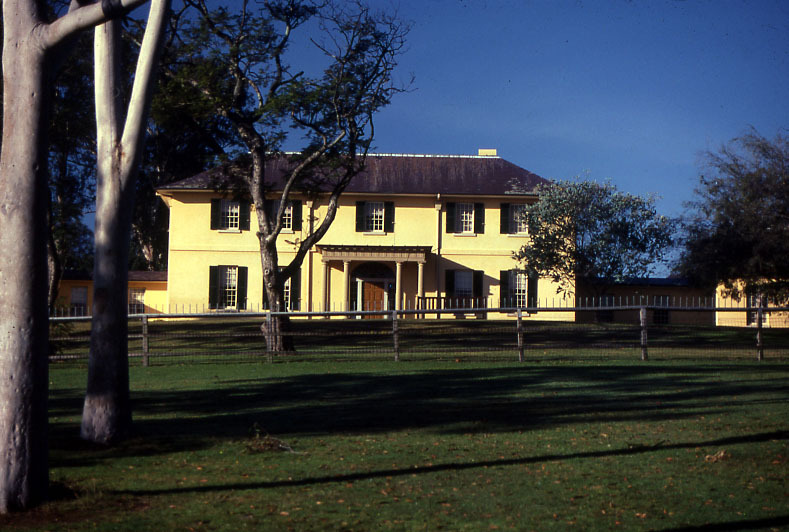 Ted Higginbotham was approached by the National Trust in 1995 to excavate the dump of building materials at the top of the Crescent in Parramatta Park, associated with the restoration of the house in 1908. The Trust wished to assess the size of the dump, the date and range of materials dumped and whether the finishes of any rooms could be identified to help with restoration. The results of the excavation answered all these questions and more. The specific associations of painted plaster, mouldings and cornice fragments in the dump have enabled the Trust to recreate colour schemes with copies of original plaster mouldings. 25 Smith and 76-78 Macquarie Street, Parramatta. Client: Kann Finch Architects and Investa Property Group. The house at 78 Macquarie Street is shown first on the 1823 map. The excavation revealed it was a simple two-roomed, post-built structure, similar to a convict or government hut. The site provides new evidence that government huts were built on Macquarie Street, east of Church Street. Elsewhere on the site, the artifact assemblage and structural remains of a house on Smith Street revealed that it served as a hotel or shop. The excavation also confirmed the course of the sandstone box drain, previously excavated at 79 George Street and dated to the 1840s. Excavations in progress at 25 Smith Street, Parramatta. 50, 50A & 52 O'Connell and 6-12 Grose Street, North Parramatta. Client: Parramatta Leagues Club and Order Architects. See recent projects - North Parramatta. 134-140 Marsden Street and 45-47 Macquarie Street, Parramatta. Client: Estate Constructions of Australia Pty Ltd.
Site now owned by Becton Property Group. The excavation of this large site provided the opportunity to excavate at least four convict or government huts. It revealed how some of the buildings had survived into the 1840s. Detailed historical research, completed by Terry Kass before the excavation also revealed the extraordinary lives and careers of a number of the occupants. The most spectacular discovery was the identification of a convict hut, later converted into a wheelwright’s workshop by John Walker, born in the colony in 1799. On the corner of Macquarie and Marsden Streets, a stone lined cellar was also excavated. It either belonged to the “Wheatsheaf Hotel”, dated from 1806-1808, or the later “Shepherd Inn”, dated from 1825-1846. Both these structures will be conserved within the proposed new development, in an important agreement between the site owners, Parramatta City Council, the Department of Planning and the Heritage Branch. The excavation also provided insight into the historical town plan and allotment sizes. The layout of the convict or government huts is inaccurately shown on the 1804 map of Parramatta, one of the historical resources on which we have relied for locating the early buildings. Download open day Leaflet 1 and Leaflet 2 for further information. The brick floor within the convict hut on Allotment 16, Macquarie Street, cut by the footings of the 1840s house. Cumberland Hospital, Fleet Street, Parramatta. Client: SWAHS, NSW Health and others. In 1991, monitoring a drainage works located the water race of the government watermill, constructed in 1804-1805. The mill itself, located downstream in Parramatta Park, was a significant through unsuccessful public work, erected by convicts. 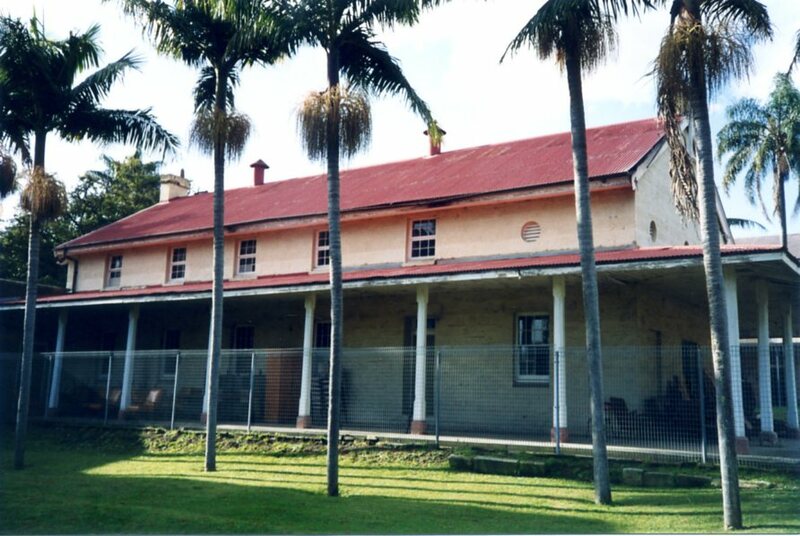 In 1992 Ted Higginbotham was part of the team that prepared the first conservation plan for the Cumberland Hospital, originally the Female Factory, built in 1821 to house female convicts who were employed to produce blankets and other goods for government. 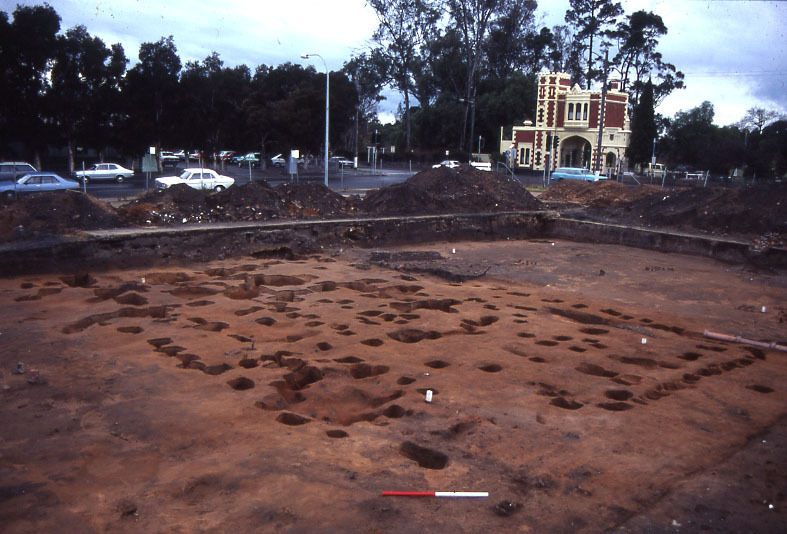 In 1997, two excavations in the northern part of the hospital grounds, revealed evidence relating to William Smith’s Farm of 1792 to 1800, one of the first land grants in NSW. 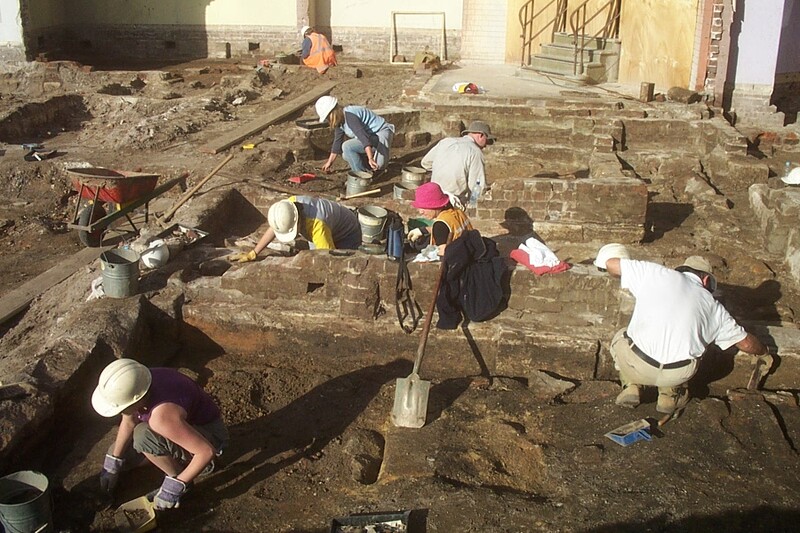 Monitoring of development in 2007 revealed another section of the 1804 water race and demonstrated the richness of the archaeological remains within the Female Factory itself. In 2008, Ted prepared an archaeological management plan for Cumberland Hospital, as part of the third conservation management plan prepared for this highly significant site. Although the Female Factory was the primary institution in NSW associated with female convicts and their labour, it was not included in the recent Australian Convict Sites World Heritage Nomination. The Sleeping Ward in the Female Penitentiary, built in 1825.